Since the tours and samples are free I never saw much benefit in using Groupon. We don't like to run sales on the rum itself. Our main business is distribution and we don't want to alienate our retailers by undercutting them regularly. We run ads on Facebook. We don't get nearly the viral reach we did early on due to their algorithms changing. If you are willing to pay you can still get great reach for a relatively low cost. Other than that we pretty much just make sure we are listed on websites like our local tourism bureau, etc. 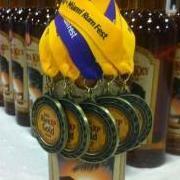 Our main strengths have been making certain that people have a fun time when they visit and making rum that they love. It's just built up over time. OP - Sorry to take your thread on a tangent. Hopefully this is helpful info for you as well. We allow up to 60 per tour but we don't check tickets when they arrive. In season we usually have extras show up. This time of year we are busier than the summer months. We have three tours on Saturdays. Two on Sundays. We just increased Tuesday and Wednesday to three tours from two. We are in the process of hiring another tour guide so we can have them on Mondays. In the off-season we will cut the number of tours back a bit. We are fortunate in that I started pretty early in the craft distilling scene. We have a ton of word of mouth in the area. We also have good internet search results. For example, we are listed as the #1 Thing to Do in Sarasota on Trip Advisor. We are not the biggest in Florida when it comes to a busy tasting room. That would be St. Augustine Distillery. They are located in the middle of a tourist area and on the main tourist trolley route. 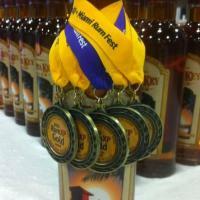 We are probably the biggest Florida craft distillery when it comes to distribution though. I would love to be in a better location instead of the scary industrial park we are in currently. I started on a relatively tight budget and took the cheapest rent that I could find. Now it's a major project and expense to move. On days with three tours we have them at 11:00, 1:00, and 3:00. We use Eventbrite for registrations. I've attached two images from this last Tuesday. It was crazy busy for some reason. All day long, not just the tours. In Florida we cannot charge for tours or for samples. Both are free. We cannot sell drinks. That model works really well if you can get a lot of people to your location and if they like your products. I don't know the exact % that buy but it is pretty high. Today was a great day. Only 126 people registered for tours so I wasn't expecting a lot. We still did $4,500 in sales after subtracting out sales tax. That's a better than average day for that level of registrations. If the Saturday tours are all full or close to it (180 registrations) that would be a pretty average number. So that's about $25 per registered person normally. [edit - I looked at some more actual numbers. Seems to be closer to $30 per registered tour attendee] There are a lot of walk-ins as well. We are not in an easy to find location so the walk-ins have to seek us out. We offer a lot of tours during the week to fit our visitor's schedules. The tasting room is open 7 days a week. Tours are 4 days a week (soon to be 5). We would do tours 7 days a week but we are usually bottling on Thursday and Friday making it difficult to do our tours. As mentioned above, traffic to your tours/tasting room is critical. Then you need a good tour and good products. In Florida it is by wine gallons. The tax is broken into a few tiers depending on the strength of the product. It is paid at the distributor level. I notice that you have a target mass set to one value. Do you adjust that during the bottling run? We take the density before each test of the fill and the spreadsheet calculates the target mass for that read. I've never figured out how much a change in proof during the bottling run will impact the target weight. Not even sure it's worthwhile but we get the density when we take the proof anyway. So I just added it into the spreadsheet as well. Thanks Michael. This was designed by Alex whom you have spoken to on occasion.